Tomato "Solanum lycopersicumL." is arguably the main vegetable consumed across the world and tomatoes are a widely used ingredient in most food recipes today. The popularity of this vegetable may be attributed to the benefits it has to offer the human body. Because tomatoes contain important minerals and vitamins, such as vitamins A and C. additionally, the vegetable contains lycopene, all of which are vital nutrients for all the people. One of the greatest concerns of many to create the best quality tomatoes is how far apart to plant tomatoes. When properly grown, tomatoes will reward you with plenty of healthy and delicious vegetable. While many tomato varieties today only need basic plant care, there are various considerations that you need to make in order to achieve optimal production. 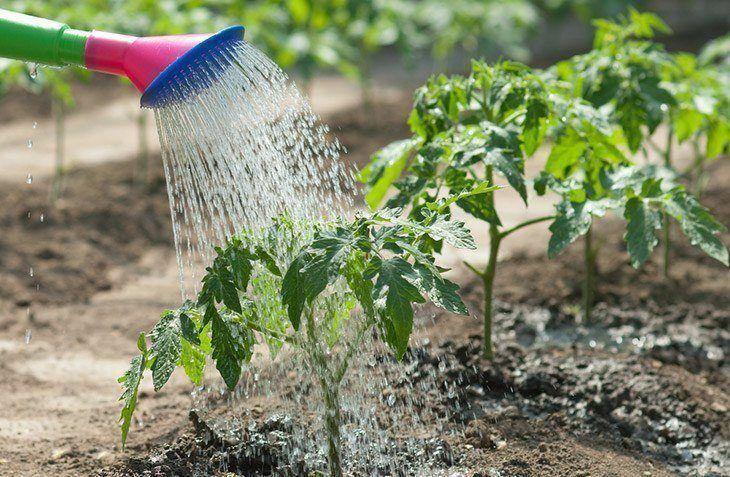 Some of the key factors that will affect tomato production in your garden include the soil type and fertility, temperature and plant spacing. So, how far apart should you space your tomato plants? 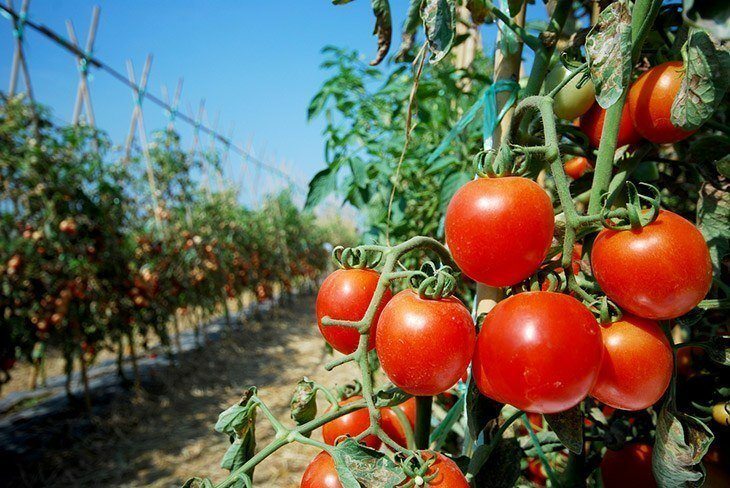 Just as is the case with many other vegetable crops today, proper crop management is required for optimal production of tomatoes. In this regard, it is advisable to apply crop management practices that will minimise production costs, while increasing production. If you are growing your tomatoes in a protected environment, you should consider removing basal leaves. This improves the penetration of sunlight to the crop, which is highly beneficial for the closely spaced tomato varieties. One of the greatest ways of improving the use of your garden when growing tomatoes is to maximise the planting density of the crop. However, increased crop density in your garden will also increase competition for sunlight, water and nutrients among the crops. This increased competition can end up reducing tomato yields and vegetable quality in your garden. This implies that closer spacing is not always the best when growing tomatoes. 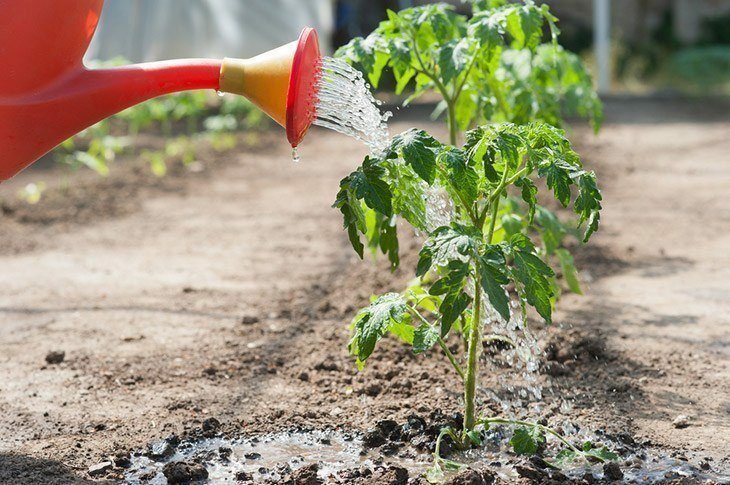 How far apart to plant tomatoes is a rather relative subject because the appropriate tomato spacing depends on many aspects, including the tomato variety you are planting and the type of soil as well as its level of fertility. One of the main factors that determine the appropriate tomato spacing in any garden today is the space requirements of the crop when planted. The main point of concern, in this case, is the area of the soil the tomato roots will extend into. For instance, comparatively larger tomato plant varieties have deeper-reaching root systems, reaching up to 3 feet deep. Such a root system may extend up to 10 feet away from the main tomato plant. As such, such a tomato plant will occupy about 300 cubic feet on the garden. This will give you an idea of the much space you need to leave in between your tomato plants. In this regard, the recommended spacing for indeterminate tomato varieties is not less than 3 X 5 feet. A spacing closer than this will increase crop density but reduce production. 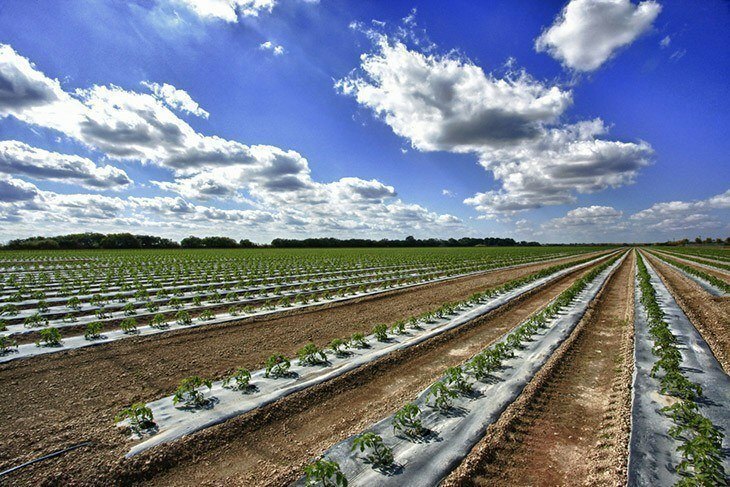 In this regard, the appropriate spacing for your crops will not only depend on the variety of tomatoes you are planning; it will also depend on whether you are allowing the crop for sprawling, are caging, or staking the plants. A key consideration, in this case, would be the growing habits of the particular tomato variety, determinate, dwarf or indeterminate varieties, you are growing. If you are sprawling an indeterminate tomato variety, the recommended spacing is about 3 feet in between plants. When planning an indeterminate tomato variety on a raised bed, you can use a closer spacing. However, it is not advisable to use a spacing of fewer than 3 feet between consecutive plants and 4 feet in between rows for the indeterminate tomato varieties. As compared to indeterminate varieties, determinate tomato varieties can thrive with a close spacing. 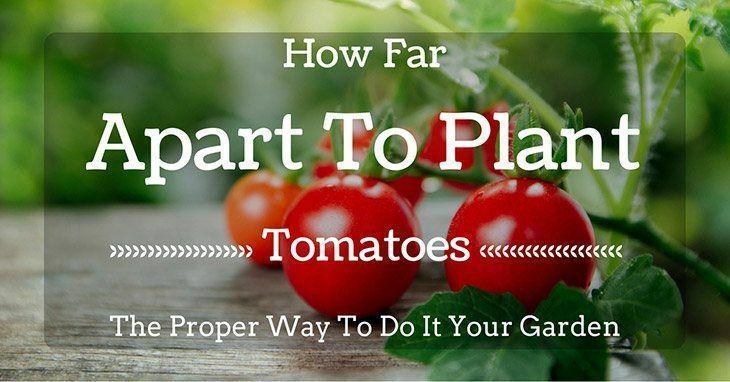 This is particularly when you are sprawling the determinate tomato variety. In such a case, you can use a spacing of 2 feet in between consecutive plants and about 3 feet in between rows. Dwarf tomato varieties are best suited for pot culture. Should you decide to grow such varieties on soil, you should use a spacing of about 1 foot between plants. The misconception among many tomato growers today is that the higher the crop density they have, the higher the yields they will get from their gardens. For optimal tomato production, you should not use a spacing less than the minimum recommended spacing for whichever variety you are planting. Explore more: Some of the best grow lights 2019 below $150, today! The soil should be able to offer adequate anchorage, moisture and nutrients for all the tomato plants growing on it. In this regard, a closer spacing may be used on loose-textured loam soil. 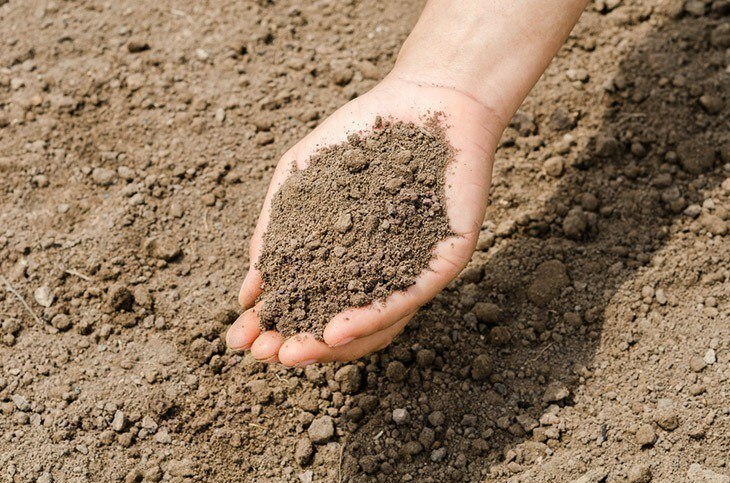 Another soil characteristic that can affect yields and quality of the vegetables in your garden is soil pH. For a closer spacing, hence higher yields, the pH level of the soil should be between 6.0 and 6.5. Tomato plants may be may be planted in various arrangements. Regardless of the planting arrangement you are using in your garden, you should leave each tomato plant enough space to grow. In some cases, the type of equipment and trellising that will be used also determines the spacing of tomato plants. Based on the above-mentioned factors, you should be able to calculate the appropriate spacing to apply in your garden. Planting tomatoes too close or too far apart will affect their growth, yield and quality in one way or another, as described below. Tomato plants grow comparatively fast, requiring more water, nutrients and sunlight as time goes by. Tomatoes have to be fully exposed to sunlight for optimal growth. When a closer spacing is used for the plants, they will compete for exposure to sunlight. As a result, the tomato plants will develop scrawny and long branches that cannot support the vegetables. Without proper exposure to sunlight, the plants will also have smaller leaves and the flower clusters will take the longer time to form. Overcrowding tomato plants in your garden also increase competition for nutrients and water. 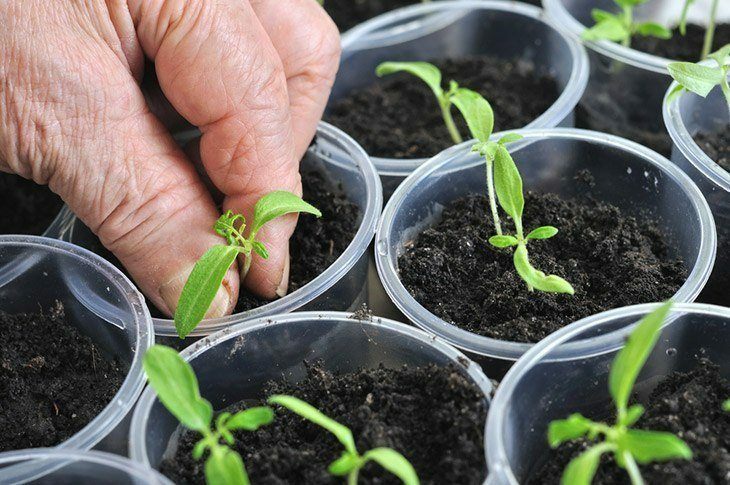 This leads to the development of smaller tomato plants that have unhealthy, light green leaves. This poor development of the plants eventually leads to the production of fewer and smaller tomato vegetables in your garden. Refer more at this video to detail more! Growing tomatoes may sound easy to an ordinary farmer. 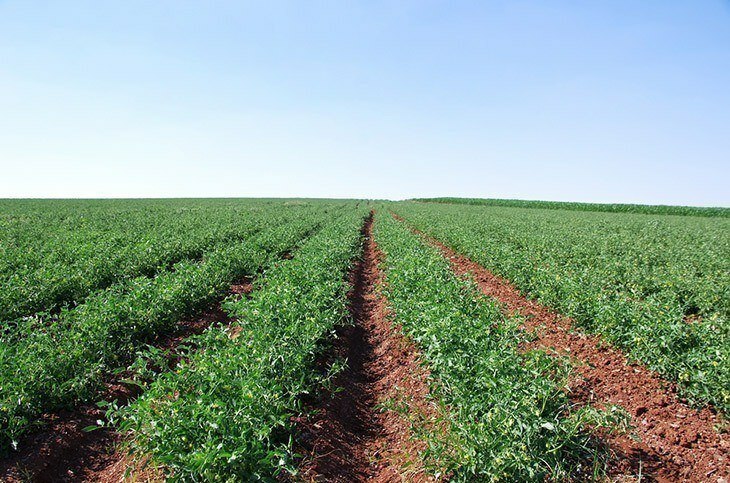 However, you cannot achieve optimal production without proper planning and use the appropriate spacing for your crops. As illustrated above, how far apart to plant tomatoes depends on various factors.